The 2018 UK Passivhaus Awards will celebrate the best in UK Passivhaus projects. Shortlisted schemes prove that the Standard can apply to any size, any site and any style. Carrowbreck Meadow consists of 14 mixed-tenure Passivhaus homes designed as a contemporary rendition of a Norfolk vernacular – defined by references to the historic barn seen throughout the county. 43% of the development is affordable housing. Set within the historic Lichfield Grade I listed Almhouses, 18 new apartments arranged around a communal courtyard provides sheltered accommodation, seeking to reinforce the sense of community established over centuries at St. John’s. Utilising local materials, this ambitious project explores a contemporary vernacular & demonstrates exemplary low-carbon architecture that achieves Passivhaus, BREEAM Outstanding, and a 100-year performance lifecycle. Breaking several Passivhaus stereotypes & accommodating 2400 occupants with a total floor area exceeding 13,000 m2, it is the largest certified Passivhaus building in the UK, and one of the largest in Europe. The latest incarnation of a historic stone building in the Cotswolds. Once a theatre in the mid 80's, the brewery building has been converted to an exceptional executed Enerphit Youth Hostel operated by New Brewery Arts. A contemporary L-shaped detached self-build, creating private courtyard spaces, on a tight brownfield site with multiple neighbours, opted for a speedy structural CLT construction. This elegant home nestled into a steep hillside minimises energy use while maximising panoramic countryside views in an Area of Natural Outstanding Beauty. A seductively simple rural self-build utilising an innovative pre-fabricated straw-bale/ timber construction. Perservering through a 4 year planning process. What's at the bottom of your garden? Overcoming a tight budget, constricted access issues, & sudden changes to the team, this triumphant urban infill delivers a compact light-filled comfortable home. All submissions undergo a two-stage judging process. The 2018 awards jury have selected the shortlist from the phase 1 submissions. Finalists were announced in July 2018. 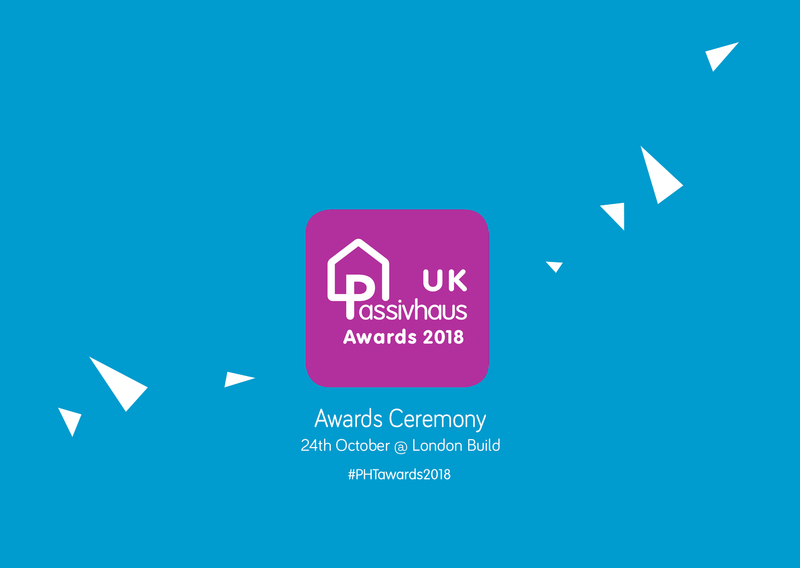 Finalists that progress to phase 2 present their projects to an audience at the UK Passivhaus Awards ceremony on the 24th October, at London Buiild. Award winners were decided by an online PHT member vote in each category. People's choice winner was decided by an online public vote across all finalists.